In the past, there was a time when you could not take a picture while in motion. This was because it would appear all blurry. The camera had one lens, and as such, unless it was suited for your kind of setting, it meant that you had to either have several cameras or make do with the photos that you got. Thanks to the ever-changing technology, narcissists and photo-loving people can make the best photos with just one camera. 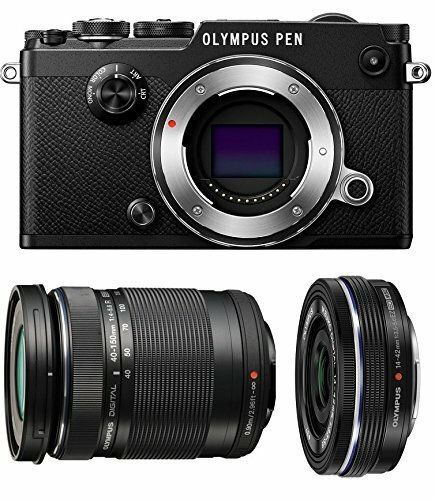 A mirrorless camera is a digital camera that does not have a mirror and an optical viewfinder. The camera’s design also allows you to interchange its lenses easily. This means that it can accept different types of lenses. Mirrorless cameras provide the best option for camera shots since they can work in diverse environments. They work really well in conjunction with a GoPro Gimbal Stabilizer, to help you get that fine, crisp shot without any blurring. Below is a review some of the best mirrorless cameras on the market right now. If you need to take the perfect images in their natural lighting, the Sony α7R II will give you one-of-a-kind pictures. With its high sensitivity and high MP sensor, the breathtaking pictures this camera will take are incomparable with any other. With its 42.4 megapixel still photos and ultra 4k video combined with its high sensitivity of up to ISO 102,400, the images and videos coming out will keep your memories brighter than ever. See your image detail in any setting thanks to its OLED Tru-finder. It has a ZEISS T* coating that will ensure minimal surface reflection. 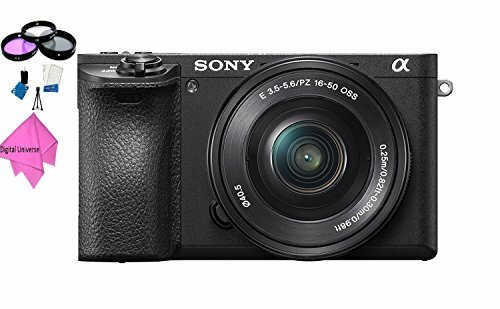 This compact, lightweight camera allows you to take pictures in their natural setting in full color to get that unique shot any time of day or night. It enables you to capture images in perfect natural light and has a DIGIC 7 Image Processor that allows the camera to take photos in low light situations. It has tilt-type Touch Screen LCD that enables you to preview images in better detail. With continuous Shooting of up to 6.1 fps, you can capture multiple shots at once. The Lumix G7 has produces highest quality pictures and videos giving you that perfect scene even when capturing fast-moving objects. • 4K PHOTO Function and 4K Ultra HD video that gives four times the megapixels to ensure highest quality viewing. 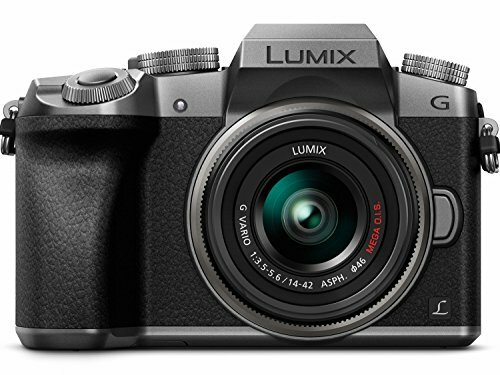 • The 4K Burst that captures 8-megapixel photos continuously when the shutter button is pressed for long. • The 4K Burst S/S (Start/Stop) allows you to record, play, pause and extract frames as an 8-megapixel photo. • The 4K Pre-Burst that initiates a video sequence a second before and a second after the shutter is pressed giving you more images to select pictures from that random moment. 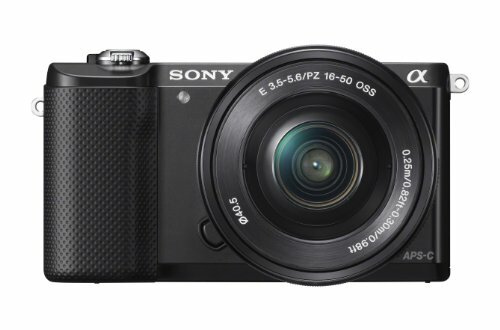 This lightweight, handy camera is perfect for rugged outdoor photo enthusiasts. It enables post focus, which means that if your photos are not perfect at the time of taking, you can edit them later to give you that focus you needed. 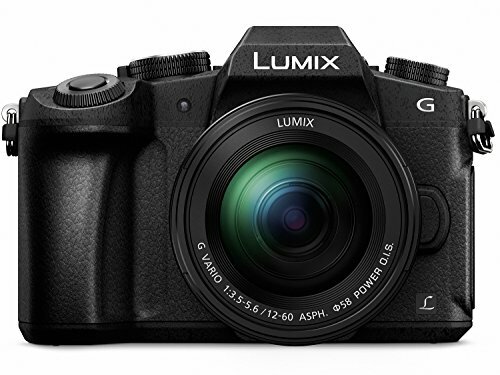 The G85 gives more than 27 LUMIX compact lens options that are built on Micro Four Thirds, which is the next-gen interchangeable lens camera standard that has been pioneered by Panasonic. It ensures flawless images using creative controls and stabilization technologies. It has a Dual Image Stabilizer that enables you to take crisp images in fast-moving places. It has a weather-sealed rugged body to enable you to take perfect shots in difficult environments. 4K photo ability enables capturing of high-resolution images by choosing single frames from a 4K video sequence shot at a blistering 30fps. The G85 ensures longer battery life going into sleep mode when your eye moves away from the viewfinder for three seconds extending your battery life. Sharing images directly from your camera has never been this easy. With inbuilt Wi-Fi in the Sony Alpha a6000, you do not have to keep transferring your images from one device to another to be able to share with your friends. 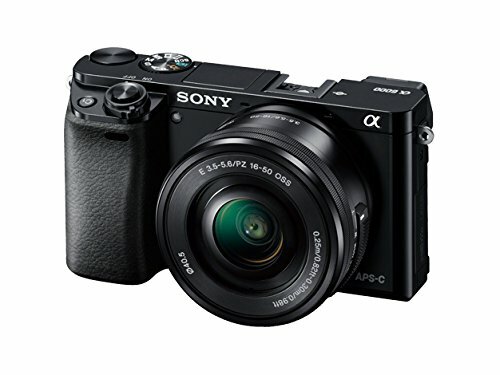 This mirrorless camera has a high megapixel sensor and a highly advanced processor that makes it easy to capture high-resolution images in low light in HD and ISO 25600 sensitivity. It has a fast AF system that uses phase- and contrast-detection methods to allow quick and accurate focus. It is also incorporated with WhiteMagic technology to enable an easy capturing in bright conditions. It also has a multi-interface shoe that allows it to attach to external devices and lights. Fujifilm is a pioneer in the photo business, and it is no surprise that its new additions have spectacular features to boot. 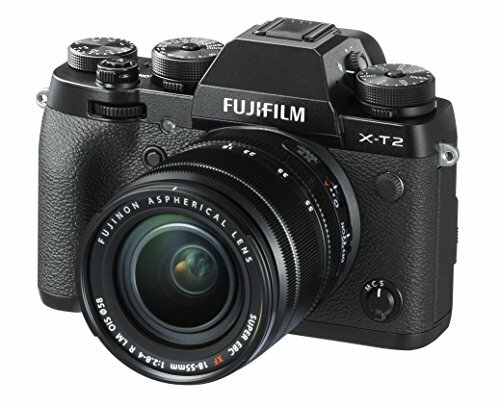 • 24.3MP X-Trans CMOS III APS-C sensor without low-pass filters boasting high performance. The camera can be used with a high number of interchangeable lenses. It is capable of holding two extra batteries to ensure that you can take more images for longer. It has speeds of up to 85MB/sec and a memory card with a large storage space of 64GB. 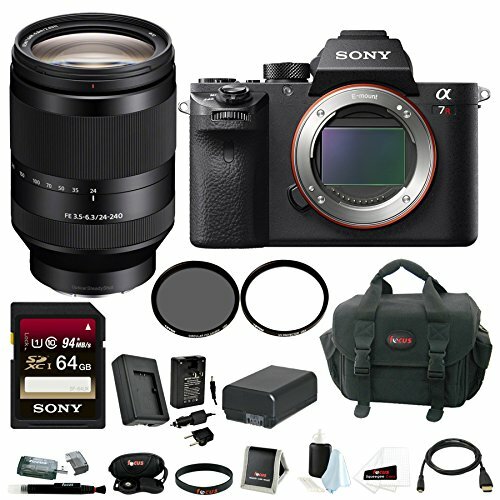 It comes with a kit that contains 18 products that include an 18-55mm XF lens, Fujifilm VPB-XT2 Power Booster, a Transcend 64GB SDXC I U3 card, a spare battery, and a charger. It also contains a case with rain cover, flash, travel tripod, wide lens, UV glass filter, filters, a 9-piece color filter set, a PD flash diffuser, a sling camera strap, a complete cleaning kit, an 8 SD card memory card case, a cable release, and screen protectors. Are you a lover of vintage photography? 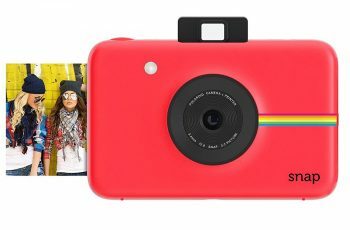 If you are, this is the camera for you! This camera can be used for a range of photography settings following its high precision control and its old-school customizable shots. The camera is sleek and beautiful to look at. Its body has a leather grained accent and an authentic magnesium cover that makes it stunning. The camera uses an advanced sensor technology for the perfect shot and has stabilization capabilities that enable you to take that perfect shot even during movement. The controls are placed at the fingertips to ensure ease of access. The camera’s body is designed such that it enables you to use one hand for control while taking flawless images. It has four custom modes that allow you to save your favorite settings on the mode. Do you need to take photos with the fastest autofocus speed in the world? Look no further. This camera gives you the sharpest image in 0.05 seconds of pointing your camera at your point of interest. • S-Log3/S-Log2, S-Gamut and gamma assist and more. This camera gives you the clearest photos in fast moving environments and has the latest sensor features to boost capture for still images. It has a super sensitive touchscreen that allows you to choose a focus point anywhere on the screen for faster image capture. Do you need to control your camera all by yourself without having to use manuals and automatic controls? This camera’s design provides you with that opportunity. 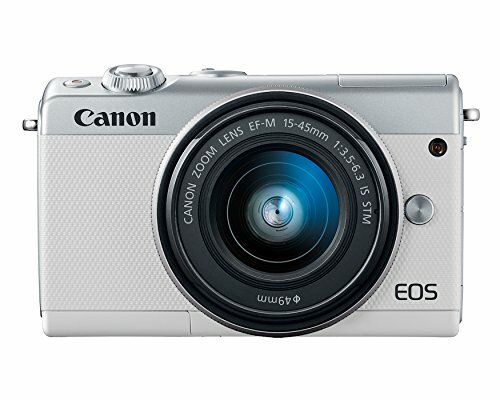 It combines automatic and manual capabilities to give you the best shots. It has manual controls that help you to be in sync with your camera and automatic controls for that perfect picture. You can choose any priority from shutter, aperture, and manual even when the camera is off. 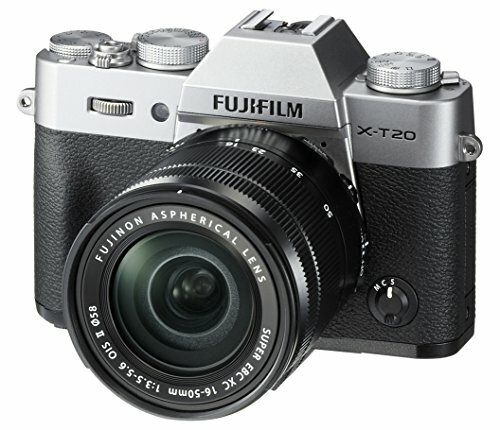 The Fujifilm X-T20 features a 2.36M-dot organic EL electronic viewfinder that ensures high-resolution images for any light setting. You can preset any mode you want to give you the specific light background you need. This camera has an image simulation feature that can show you the final image even before taking that actual photograph. 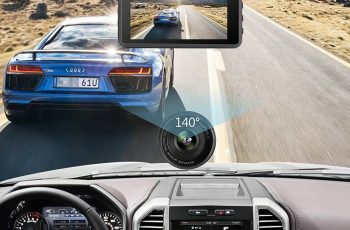 It can work with a range of high-performance lenses to give you high-quality images and videos. It also offers noise reduction capabilities and great photos in burst mode. This camera has a large display screen and a rear screen tilting ability with ISO 25600 sensitivity. It has an inbuilt Wi-Fi capability to enable sharing of images directly from the camera. It also has several ports to enable easy moving of files from your camera to other devices. These include a USB and micro HDMI ports. It has a fast burst rate of up to up to 3.5 fps at 20.1 MP for up to 15 frames. 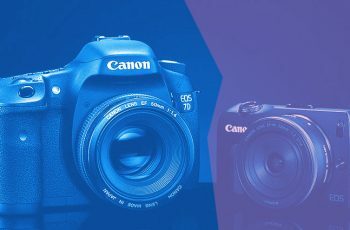 Mirrorless VS DSLR Cameras – Which is Better?